A catalytic converter is a device used to remove toxic pollutants from an internal combustion engine. It was invented in the early 1950’s in response to the smog problems Los Angeles was suffering from even then; however, the first mass-produced catalytic converter was developed in 1973. For much of the past 30 years, catalytic converters have been a staple on automobiles since the Environmental Protection Agency started tightening restrictions on the pollution of car exhaust fumes. Several states have further guidelines on air pollution when it comes to cars and actually require car owners to pass an emissions test in order to obtain a vehicle sticker for that year. Until about 1981, trucks and cars were manufactured with catalytic converters that performed two functions: Oxidize carbon monoxide (turning it into carbon dioxide), and oxidize hydrocarbons to turn them into relatively harmless carbon dioxide and water. This was perfectly fine, until nitrous oxide also needed to be dealt with in later years. Since 1981, emissions control systems in automobiles have three-way catalytic converters. These three-way converters take care of not only carbon monoxide and leftover hydrocarbons, but also nitrous oxide, turning it into nitrogen and oxygen via redox reaction. Catalytic converters have three main components. The first is the core, which usually has a honeycomb shape and made out of ceramic material; it can be made out of stainless steel as well, however. The core acts as catalyst support. The second major component is the washcoat. The washcoat, usually made out of silicon dioxide or aluminum oxide, increases the efficiency of the converter. The third major component is the catalyst itself. The catalyst is usually palladium, rhodium or platinum. This catalyst is coated on the honeycomb core. Platinum is the best catalyst for both oxidation and reduction, which is why it’s the precious metal most often used in catalytic converters. Diesel engines have a different type of catalytic converter, which uses diesel oxidation. However these catalytic converters do not remove nitrous oxide, so an additive must be used to eliminate it. Catalytic converters considerably reduce tailpipe emissions and have played a small, yet significant part in the reduction of polluting chemicals being released into the air. However, widespread adoption was held off until the lead problem was dealt with. 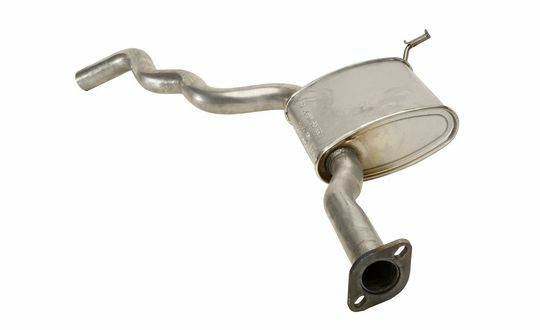 One of the major contaminants of catalytic converters is lead, since the lead coats the vital surfaces of the converter. Therefore, catalytic converters can only be used in conjunction with unleaded gasoline. < What is Pirelli Discount Tires for Trucks? What is Pirelli Discount Tires for Trucks?